Jimmy Olsen is Now a New God? I found out while reading newsarama today that Superman's friend Jimmy Olsen has been elevated to the status of a New God. I wholeheartedly approve! 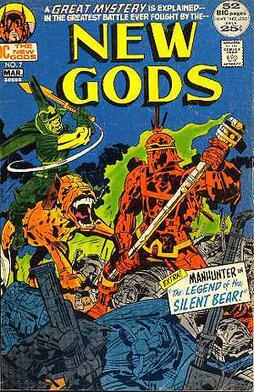 I had thought previously that an individual could be a New God only by birth, but this is a fine twist on the Fourth World mythos. I wonder if you agree with me that Jimmy's role in the DC Universe has been on a parallel track with that of Rick Jones in the Marvel Universe, what with them both starting out as sidekicks but ultimately becoming so much more? Honestly I wouldn't be surprised if Stan Lee said to himself that The Hulk needed a Jimmy Olsen of his own as he created young Rick. All this talk of Jimmy seems like a wonderful opportunity to take another look at Jeanette's animation of the Jack Kirby Jimmy Olsen splash page that I am very pleased and proud to own! 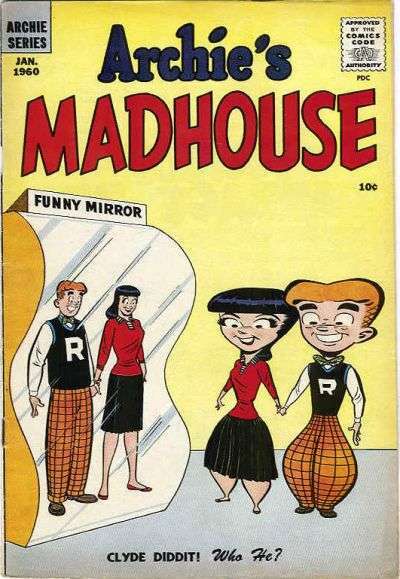 Probably by now you've heard that, in the near future, Archie Andrews and the cast of Riverdale High characters will be drawn in a less cartoony style. Please don't be disturbed at me quoting The Joker when I ask "Why so serious?" 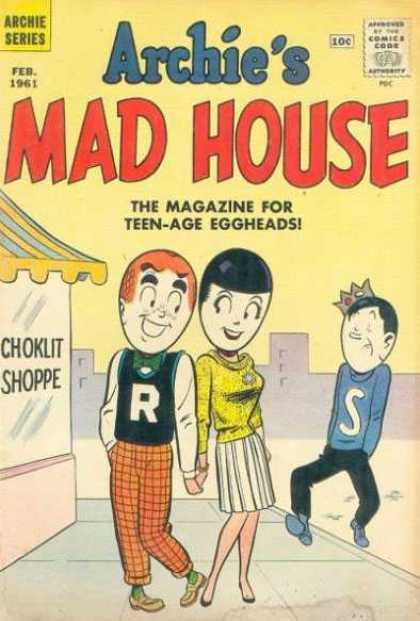 Why not draw the kids with eggheads, like on the cover of Archie's Madhouse #10? Or how about as triangle-heads, as on #3? Let's face it, reality is overrated!